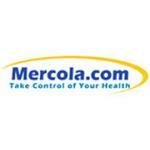 This mineral supplement from Mercola contains Zinc, Selenium and Copper. Selenium is another mineral that may be just as important as zinc for healthy cells and overall health support. 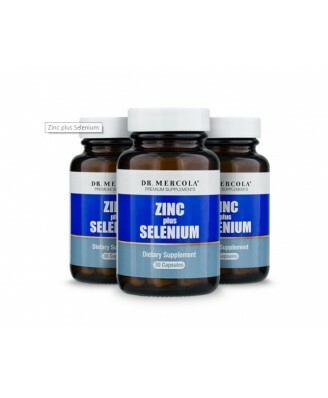 However, when it comes to supplements, not all selenium supplements are the same. Studies show that a specific form of standardized selenium-enriched yeast is a more effective form. It is the full protein form of selenium compared with a single amino acid form like selenomethionine, which is more commonly found in selenium supplements and in multivitamins. This bioavailable fermented yeast (contains no unhealthy active yeast!) is able to accumulate and incorporate selenium right into the protein structure. 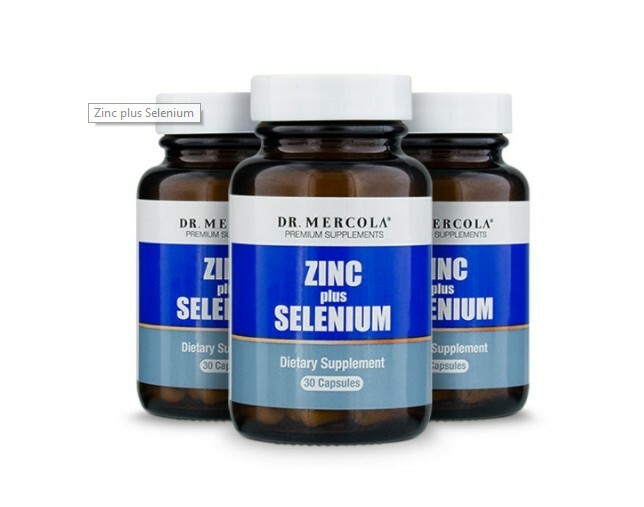 Because supplementing with any type of zinc can reduce your copper, an important micronutrient, Mercola has added a very small amount of copper to this Zinc Plus Selenium. Adults take 1 capsule daily with a meal.